Temple Beth Shalom is an independent reform Jewish congregation that serves Hickory, NC and the Unifour area. We welcome members of all ages and family configurations and we look to our members to enrich our Jewish life through their voluntary efforts. Visitors of all faiths are welcome to join us in fellowship. Visitor questions are addressed on our Frequent Questions web page. The Hickory Jewish community began over one hundred years ago. 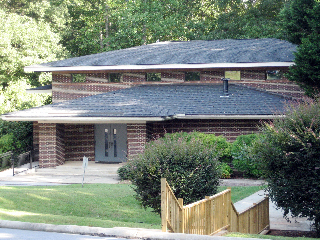 Temple Beth Shalom consists of 60 families living within forty miles of Hickory. We are served by a permanent, part-time rabbi and we meet regularly throughout the year. Check newsletter and events for calendar of services and/or Sunday school. Come visit us! We are excited to meet you! Map reference is ~ 0.1 mile northward of our location.